Quality construction, excellent project management, affordable drafting and design. Revitalize Construction would love to help you on your next construction project. Emphasizing quality and value on all our projects, we have been revitalizing Helena since 2006. You will enjoy working with our friendly, skilled crew on your next renovation or building project. Our services include drafting and design, residential and light commercial construction, and renovations of all types. We have developed a process rooted in good communication, making the process go smoothly and making the outcome beautiful. 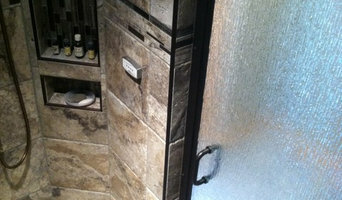 We complete the job as quickly as possible and keep our clients informed and happy during the build-out. Remodels, especially in older homes, are more challenging in their nature than new homes. Our carpenters are skilled at incorporating new materials into the old materials, working within the unusual constraints that can be present in existing structures, and bringing unique solutions to your space. GNU by Revitalize is our new construction department. GNU is an acronym for Green, New, and Urban. The concept behind GNU is to build on land that has no ecological or agricultural value, and to promote housing density through urban in-fill development. We are a full service carpentry and remodel company that specializes in creating long lasting improvements to your home or business. We combine the use of conscientious methods, high attention to details, and the best tools to make your remodel clean and as low impact as possible while delivering craftsman level workmanship on your project. General construction of houses, garages, decks, basement finishouts, remodels, etc. 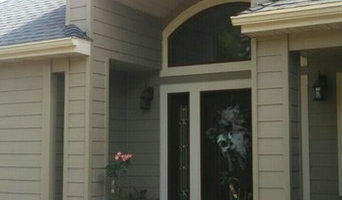 Details Home Improvement and Repair, LLC helps homeowners turn houses into "homes". Our goal is a beautiful finished product that leaves the homeowner feeling proud. We believe that excellence is in the details and view our profession as a craft. We never stop learning as we tailor each unique job to our customers tastes. We are creative. We draw from past jobs and broad experience to present our clients with a variety of options that can be tailored to any budget. Have been doing General Contracting in the Helena area since 2010. I'm Ethan Stapp, owner/operator of Stapp Woodworks, located in Helena, Montana. I am a self-taught carpenter and furniture maker. At a young age I discovered that I love to build with my hands to create lasting works of fine craftsmanship. Through Stapp Woodworks I put to work my talents of design, construction, wood and metal working, tiling, and more on projects large and small. I have an eye for detail and my work reflects the importance I place on both form and function. I am also passionate about energy efficiency and sustainable building. My skills allow me to manage every aspect of a project, from design to construction. Whether you know exactly what you want, only have a vague idea of what you're looking for, or don't even know where to begin, I can help you realize your dream of a custom-designed and well-appointed home. 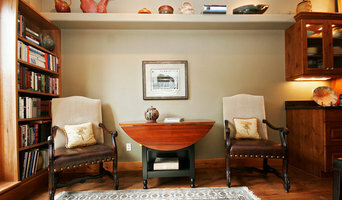 Homeworks is a design/build custom remodeling company. We provide a complete range of professional services from designing your project to the final finishing touches. When you engage us, you can rest assured you are working with an established, local general contractor that is licensed, certified, and insured; and, has earned an outstanding reputation for craftsmanship, honesty, and personal relations with our happy clients. Here at Yellowstone Framers Inc. we provide excellent craftsmanship and superior customer service. For all of your general contracting needs please call us at 4065392562. 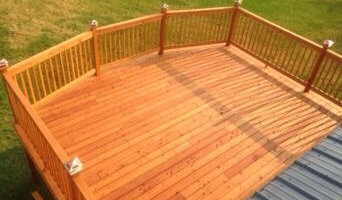 TLC CONTRACTING was started in 2005 by Tracy Clemons, Owner. We are one of Montana's first "Woman Owned" contracting companies. Our company is based on the belief that our customers' needs are of the utmost importance. Our entire contracting team is committed to meeting those needs. As a result, a high percentage of our business is from repeat customers and referrals. Lockmer Plumbing, Heating & Utilities, Inc.